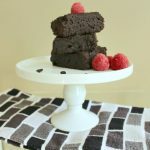 Fudgy Dark Chocolate Dutch Brownies – These rich dark chocolate brownies are so delectable. It’s hard to stop at one. Bake a batch today to taste the deliciousness and enjoy! 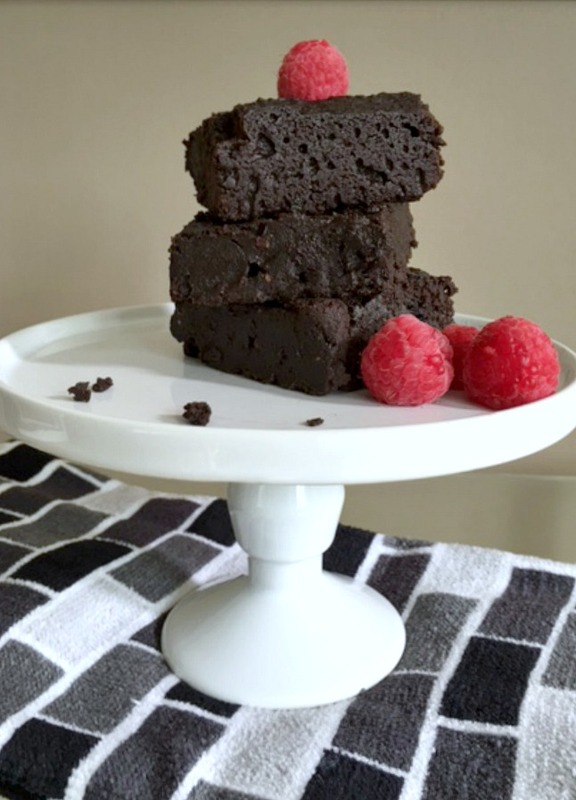 If you are looking for a rich, dark chocolate brownie. You found it right here. In most of my recipes I usually use regular unsweetened cocoa or cacao powder. Sometimes when I want a really deep flavor of chocolate, I use Dutch processed cocoa. You will find Dutch cocoa in many of the store bought cookies. It’s very mild and has the most amazing chocolate aroma. 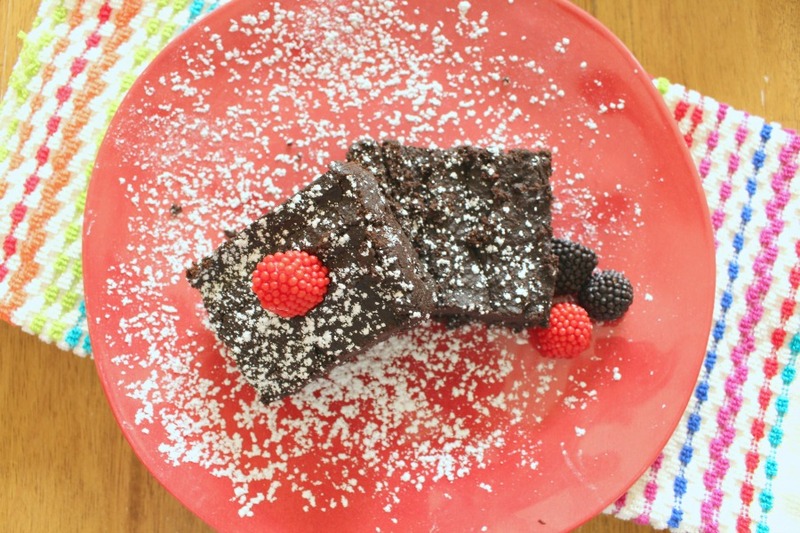 Give this fudgy brownie a try. Next time at the market, pick up a container of Dutch cocoa powder. It works in so many great recipes. Preheat oven to 350 degrees. Spray an 8 X 8 square pan with cooking spray. Set aside. In a medium saucepan, (I used a nonstick) On low to medium heat. Melt butter or margarine. Take off heat, add sugar and mix well. Make sure the egg mixture is cooled down. Add in eggs one at a time. Mix again. Add vanilla, salt, baking powder and flour. Gently mix well with a rubber spatula. Make sure all the dry ingredients are mixed into the wet. Try not to over mix though. When all is incorporated, pour into prepared pan. Bake for 20 to 30 minutes. Check after 20 minutes. Middle should look set and a toothpick should come out with moist to dry crumbs. If not yet done, put back into oven and bake until done. Test again. Cool in pan on a wire rack for at least 20 to 30 minutes. It’s easiest to cut up brownies with a plastic knife. Brownies don’t usually stick to the plastic knife. 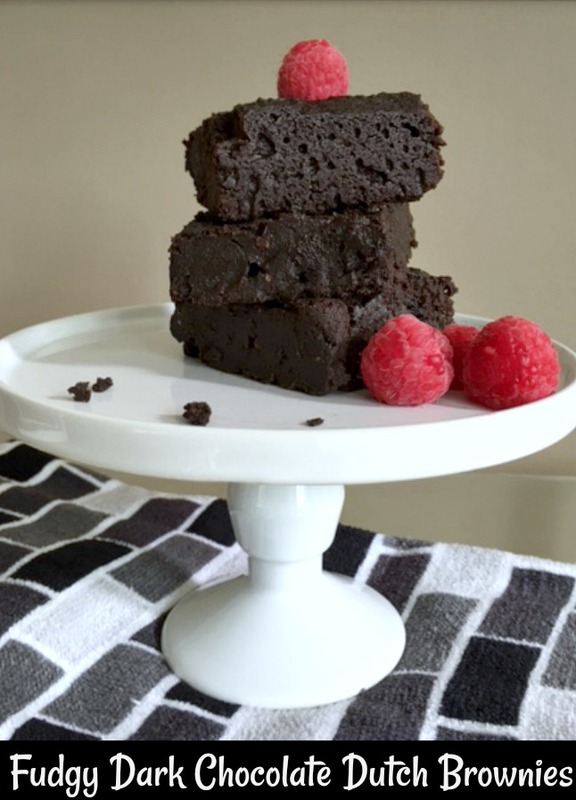 These rich dark chocolate brownies are so delectable. It’s hard to stop at one. Bake a batch today to taste the deliciousness and enjoy! 1.Preheat oven to 350 degrees. Spray an 8 X 8 square pan with cooking spray. Set aside. 2.In a medium saucepan, (I used a nonstick) On low to medium heat. Melt butter or margarine. Take off heat, add sugar and mix well. Make sure the egg mixture is cooled down. Add in eggs one at a time. Mix again. Add vanilla, salt, baking powder and flour. Gently mix well with a rubber spatula. Make sure all the dry ingredients are mixed into the wet. Try not to over mix though. When all is incorporated, pour into prepared pan. 3.Bake for 20 to 30 minutes. Check after 20 minutes. Middle should look set and a toothpick should come out with moist to dry crumbs. If not yet done, put back into oven and bake until done. Test again. 4.Cool in pan on a wire rack for at least 20 to 30 minutes. It’s easiest to cut up brownies with a plastic knife. Brownies don’t usually stick to the plastic knife.